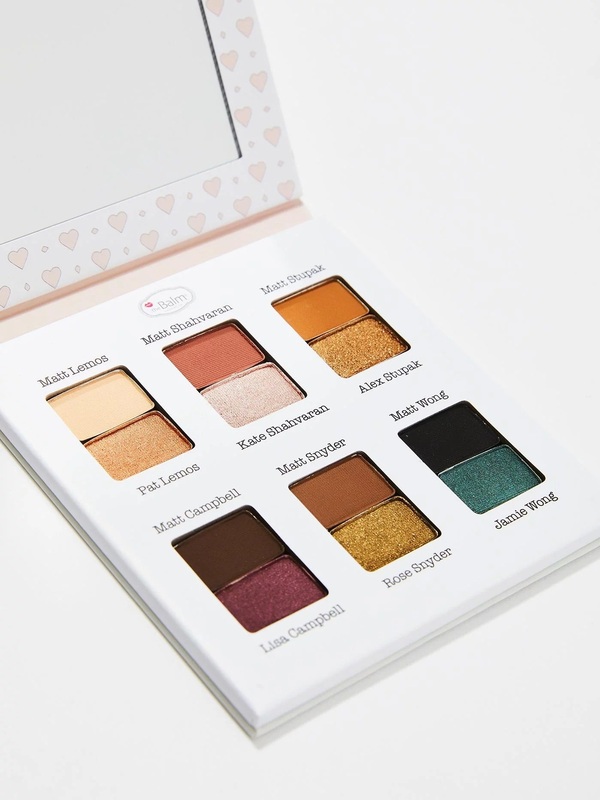 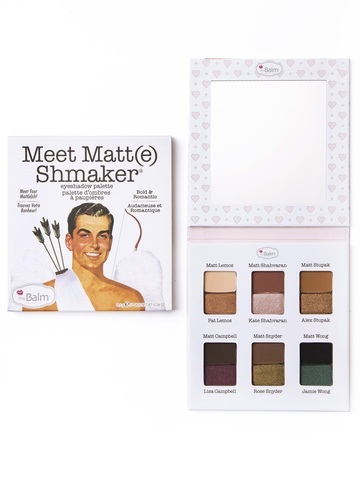 Introducing the Meet Matt(e) Shmaker eyeshadow palette from theBalm Cosmetics! 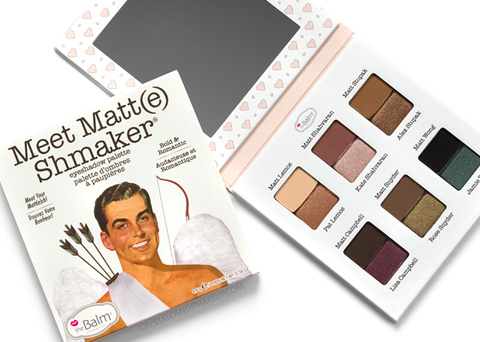 Featuring a perfectly paired selection of 6 matte and 6 shimmer shadows, this palette's sure to melt your heart. 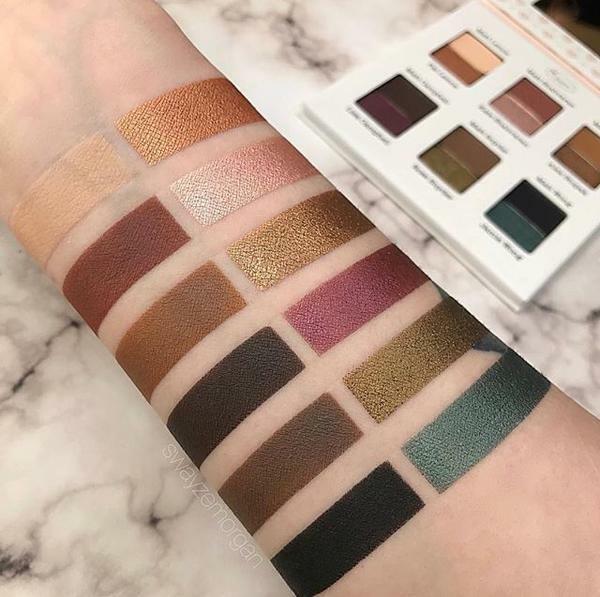 Get 'set-up' for success with shades that are highly pigmented, triple milled and velvety smooth. Matt Lemos is a light golden peach with a matte finish. 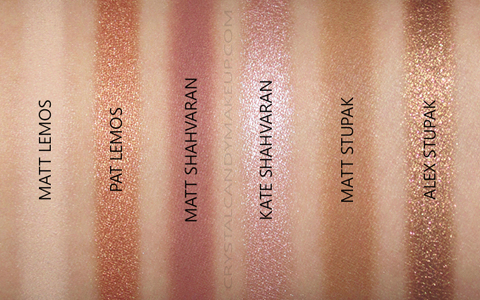 Pat Lemos is a copper with a shimmery finish. 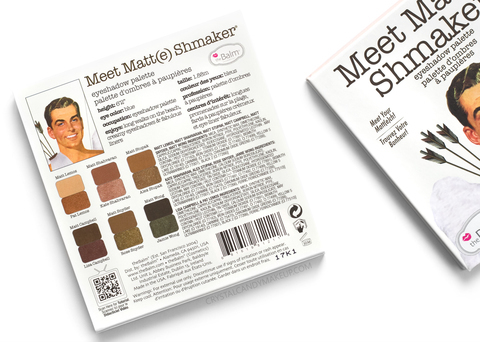 Matt Shahvaran is a mauvy brown with a matte finish. Kate Shahvaran is a light pink with a metallic finish. 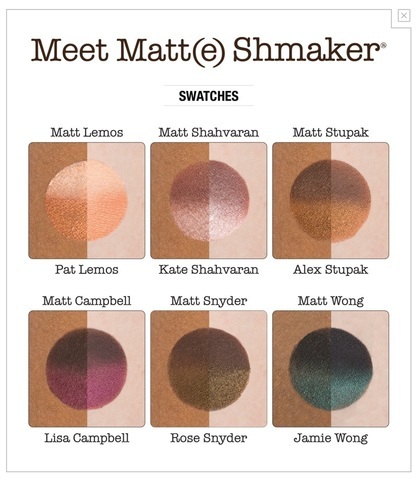 Matt Stupak is a golden brown with a matte finish. 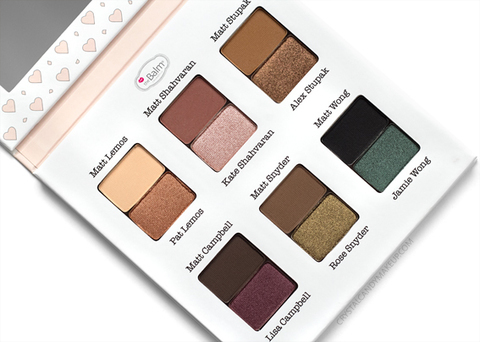 Alex Stupak is a frosty bronze with pink and gold micro glitters. 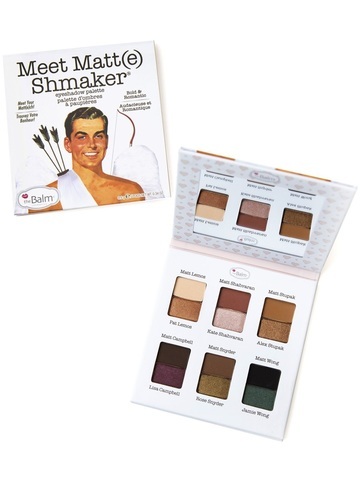 Matt Campbell is a deep brown with a matte finish. Lisa Campbell is a plum with a shimmery finish. Matt Snyder is a light brown with a matte finish. 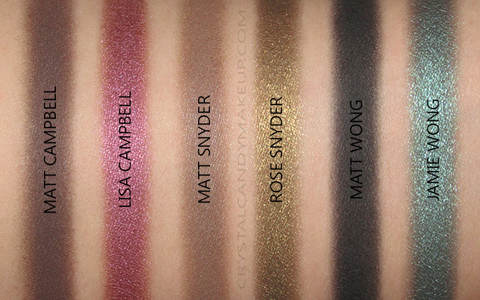 Rose Snyder is a golden olive green with a shimmery finish. 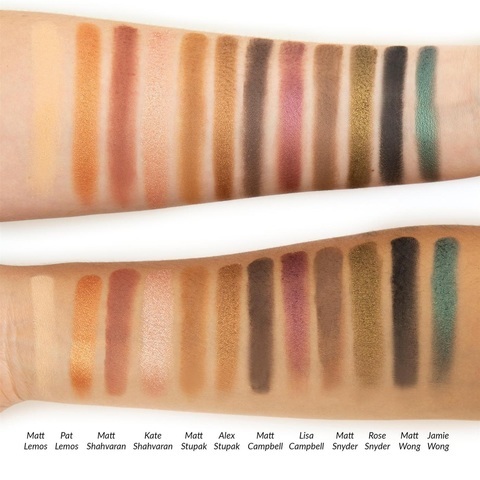 Matt Wong is a black with a matte finish. Jamie Wong is a teal blue with a shimmery finish. Use each shade individually or combine shades for a more elegant look. 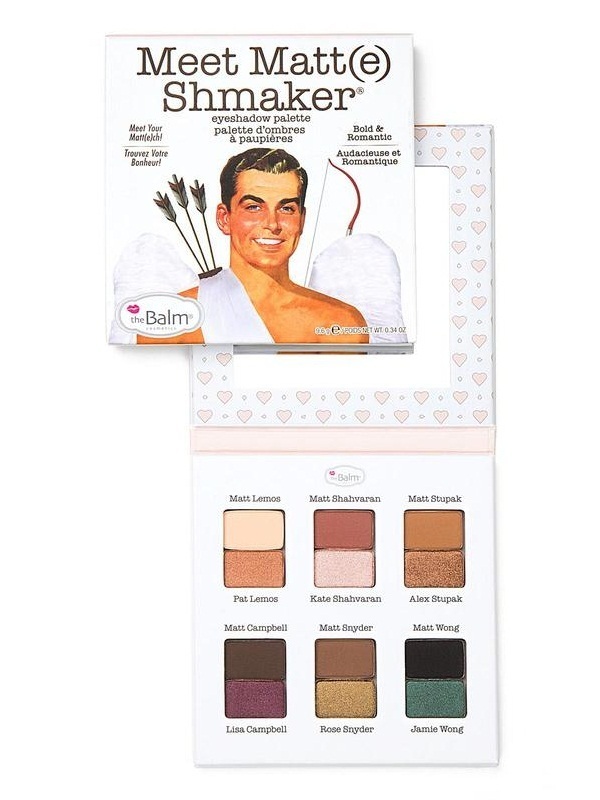 Use lighter shades on brow bone, medium shades on lid and darker shades to line and contour eyes.